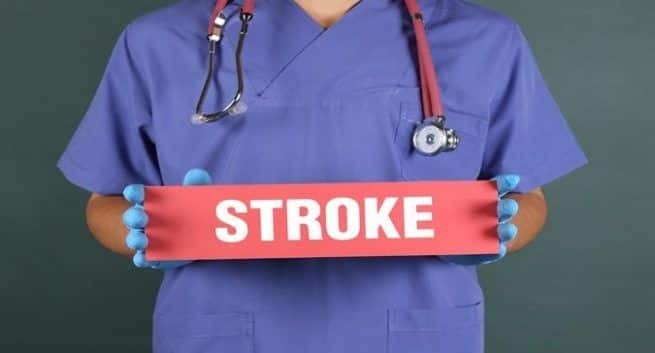 Stroke is a medical emergency which needs immediate attention. It is said that to minimise the damages due to stroke the affected person should be taken to the hospital emergency care within the first one hour after the attack. It is this time when a clot-busting drug is ingested that ensures minimal damages which otherwise fails to work when ingested an hour after the stroke strikes. If not investigated on time stroke could lead to paralysis, permanent damages and make one’s life a challenge to even go about with the menial daily chores of life. Age and family history: After the age of 55, in both men and women the risk of suffering from stroke doubles with every passing decade. Having an immediate family member suffering from stroke also increases one’s risk. Stroke could happen due to a genetic mutation that results in damage to the blood vessels. If one inherits this mutated gene from either of the parents then chances of suffering from stroke increase. Lifestyle conditions: There are few lifestyle conditions that can increase one’s chances of suffering from a stroke. Uncontrolled diabetes could be a reason that could amplify your stroke risk. Apart from that, high blood pressure, particularly with BP more than 160/95mmHg, are at the highest risk; elevated level of bad cholesterol (LDL) is a major risk factor for ischemic heart disease which invariably increases the chances of suffering from an ischemic stroke; coronary heart disease (CHD), atrial fibrillation, cardiomyopathy and heart failure are individually linked to increased risk of stroke. Smoking: Tobacco and smoking do your health a whole lot of damage and one of them is increasing your stroke risk. It is seen that cessation of smoking was found to reduce the stroke risk by approximately 1.5 times. Obesity: Obesity is an indirect risk factor for stroke. It is not to be blamed for your stroke risk alone. But when coupled with other health problems, especially the other modifiable risk factors like high cholesterol, hypertension, diabetes and heart disease it can be termed as a major risk factor. Stress: Studies say that hormones released during stress affect the blood vessels and the circulatory system of the body which can act as a trigger for stroke. Obstructive sleep apnoea: It is a known risk factor for stroke. This reduces the blood levels of oxygen, resulting in oxygen deprivation to several cells of the body including the brain cells thus increasing one’s risk. Drug abuse: Overuse or indulging in cocaine, heroin, amphetamines and other illegal drugs can also be a risk factor. They can increase your risk for both hemorrhagic and ischemic stroke.